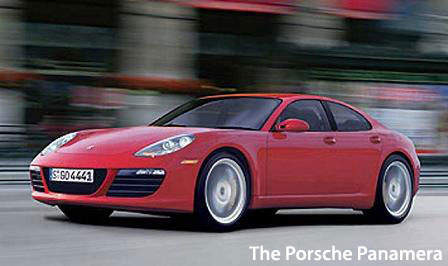 The Porsche Panamera will be on exhibit at the Frankfurt Motor Show this September 2005. This coupe and sedan crossover fusion will have space for four adults and it will have four doors. There are some rumours that the Panamera will be built on a Volkswagen Phaeton platform, due to it’s association with Volkswagen AG. The car will be powered by the same engines in the Porsche Cayenne. This means a 4.5 litre V8 making 340bhp and a turbocharged version with 450bhp. Good blend of fun and practicality! The roof line is tall for easy entry and it would likely be a front-engine with rear-wheel drive or all-wheel drive if it is really going to be based on the Phaeton chassis. That’s what most rumours say right now. After all, the Porsche Cayenne SUV was based on a jointly developed platform which Volkswagen used for the Volkswagen Touareg. The car is instantly recognisable as a Porsche with those trademark headlamps. Expected launch date is 2008 or 2009. No official news on it. The car is supposed to be a successor to the 928. 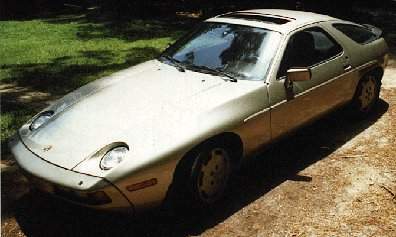 The Porsche 928, the predecessor to the Panamera. I remember seeing the Porsche 928 for the first time on Malaysian roads back in 2002. We were wondering what car it was. It was speeding really fast and had massive acceleration. I saw it near the Phileo Damansara traffic lights. Later we saw the car again in a traffic jam. My friend told me it had a Porsche logo on it and I didn’t believe him. The car did not look Porsche at all.